"A perfect end to the primary phase ! My Year 6 class, colleagues, whole school and parents loved the whole hilarious show. I doubt I will ever be able to top this performance. Thank You!" Can be reduced to 24 speaking roles, see "Casting" tab below for full instructions. No pianist required! Both these CDs include Overture, ALL Songs, Special Effects, Play Ons and Play Offs in the order you need them enabling production and direction to take place without specialist musical expertise. Encompasses Overture, ALL Play Ons and Play Offs, Songs, Link Music, Cues and Chord Symbols. (Grade 5 / 6 standard). Click "Performance Score" in the "Script & Songs" tab below. Grade 2 / 3 Standard, click "Easy Play Score" in the "Script & Songs" tab below. 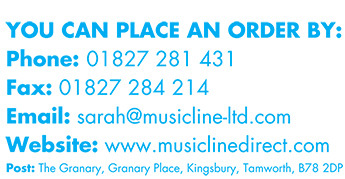 Why not let your children play along with the pianist or backing tracks. They could even play along for some or all of the rehearsals/performances. If your children have instrumental lessons, this is a wonderful opportunity for them to play in front of a live audience. What an incentive to practise! All the individual parts work well with piano, keyboard or backing tracks. All tried - All tested - Everything Works! To view, click "HERE" or click "Band Parts" in the "Scripts & Songs" tab below. "Fantastic. We adapted it for 90 Year 2s to perform and it was a huge success." "Great lots of fun exciting parts and a great adventure story "
"Our children loved this show from the first day they saw it to the final performance. They practised in their break times without being asked! It was a fabulous way to end the school year. The songs were brilliant and the characters were very funny. Amazing! Thank you!" 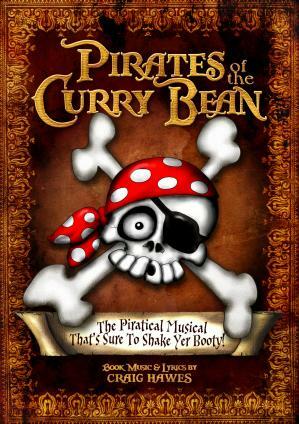 "We just finished our summer workshop with "Pirates of the Curry Bean". Every kid had a ball and just loved doing the show! The audience had as much fun as the kids and couldn't stop laughing. Everyone loved the music and dances...just a superlative show in every way with a great story line too!" "This show was perfectly pitched for upper junior children, with enough cameo roles for a large Year 6 cohort all to have their 5 minutes of fame. The script was hilarious and gave the children real confidence that what they were performing was truly entertaining. We will definitely be purchasing more Craig Hawes productions; they're worth their weight in gold! The songs were written in children's voice ranges and were easy to learn, making the production far less arduous and far more enjoyable than it usually is! We have had nothing but praise from audience members. A fantastic play; I thoroughly recommend it." "Our daughter played Redbeard last night in her school's Year 6 leavers performance and the show was fantastic ! Laughs aplenty from start to finish and abundent scope for hilarious casting - we particularly liked the wimpy, posh Admiral and of course Redbeard ! A fabulous show enjoyed by both the cast and parents !" "A great show enjoyed by all of the Year 3 and 4 performers as well as staff and parents. The Children will remember this play for a long time. The sound effects were great and added to the humour of the play. We saw a different side to our children. We have a few budding actors! Thank you!" "We loved doing 'Pirates'! We had a cast of 84, 3 to 11 year olds fully involved and most of them were girls, as our little boys are only in Kindergarten at the moment. The jokes were great and the soundtrack made the whole performance professional yet straightforward to do. A fabulous romp, greatly enjoyed by us all. Thank you!" "A great show full of fun and appalling puns! Lots of opportunities for visual humour and some really catchy music. I was anxious that the Nigerian audience wouldn't get the jokes, but I needn't have worried - they loved it!" "On this production you work your very own socks off but have a great day rehersing and making the props! This takes you from London to Lumbago (in the sea of Sciatica). In this play i played the pirate 'Broadside' and i really enjoyed it, and i hope i get to do this again! Hope you like it." "I love this play especially that I will be doing it. Our rehearsals have been great. This is the best play ever performed by KS2." "The children could not stop laughing throughout the rehearsals. It is a perfect choice for older key stage 2 children. We managed to perform it with only 22 cast members as it was easily adapted. The songs are fun and easy to learn. It is very well written with excellent stage directions and ideas for props. Overall a huge success and the parents seemed to love it - "Best one in years!" I would definitely reccomend this to all Primary (and younger Secondary) Schools." "I think it is the funniest thing in the galaxy. I love it!" "Fantastically funny show that all our pupils & parents simply adored!"